We are seafood lovers. My 2-year old really enjoys seafood. My 5-year old, not so much, but she will eat (at gun point!). 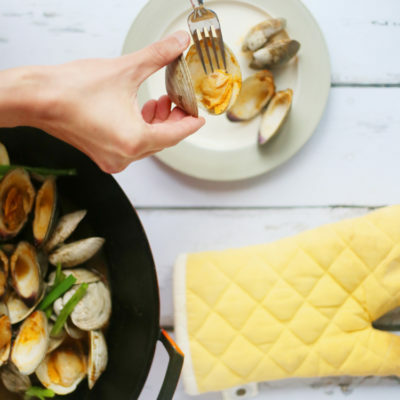 I love cooking seafood because they usually do not require long cooking time. 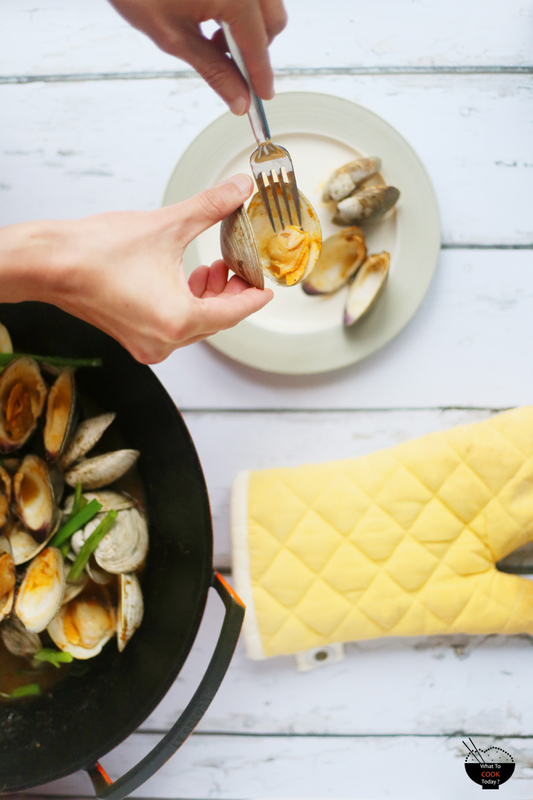 I’ve eaten clams when we dined out, but believe it or not, this was the first time I cooked clams at home. 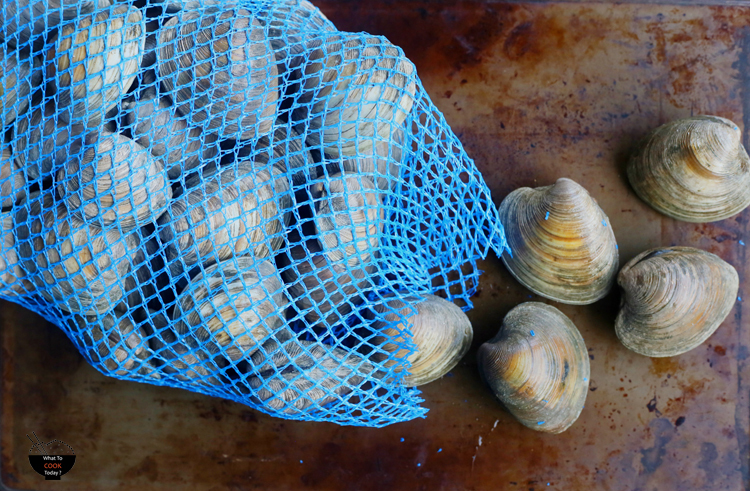 I saw some at Costco during their seafood roadshow and decided I need to whip up something with these beautiful clams. 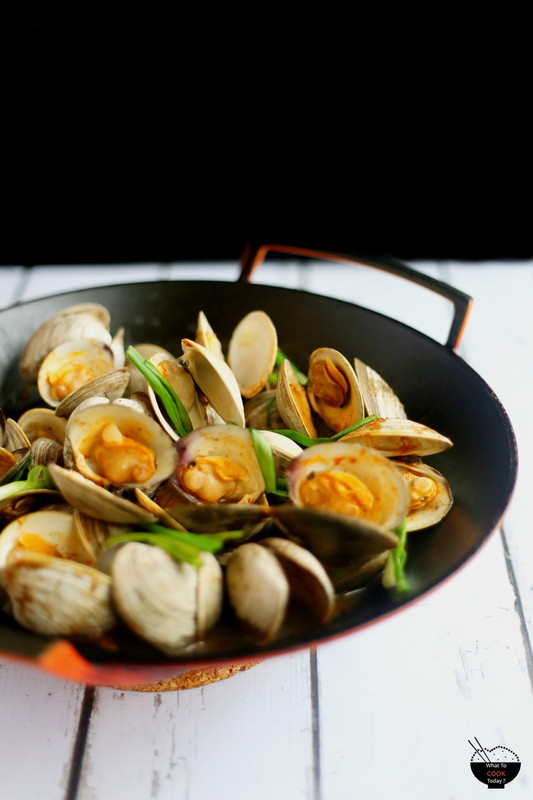 The thing about cooking these clams, or any seafood is that, you do not need much to make it delicious. Fresh shellfishes usually are sweet and succulent on their own without much interference from cooking. I often include ginger when I cook seafood. 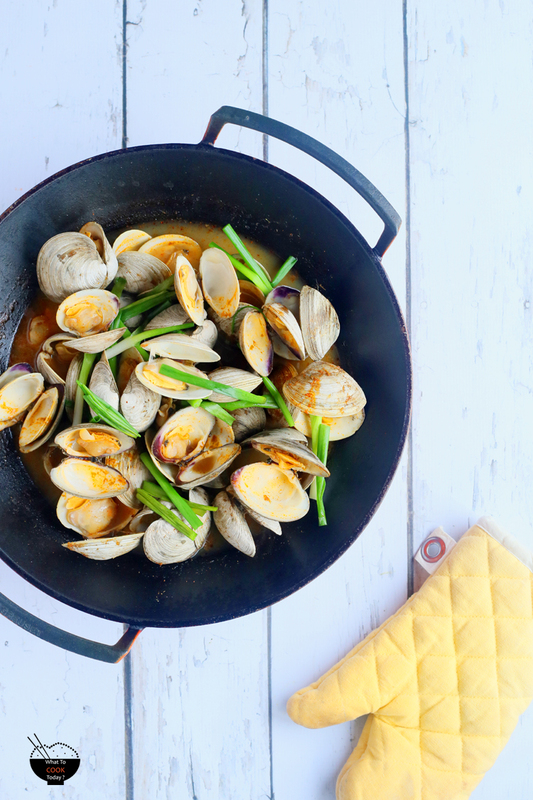 My mom swears by it because it helps to neutralize any fishy or ocean smell 🙂 I think it took me longer to scrub the clams than cooking this stir-fried clams with ginger and garlic 🙂 But, it definitely is worth it.